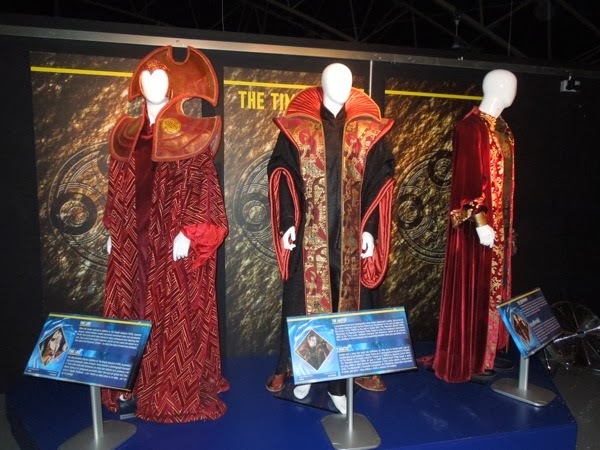 As the 50th anniversary celebrations are fast approaching for Doctor Who and because so many of the otherworldly outfits featured in the British sci-fi show would make for fabulous Halloween costumes I thought I'd showcase as many as I can in the next few days, including these rather theatrical Gallifreyan Time Lord costumes. 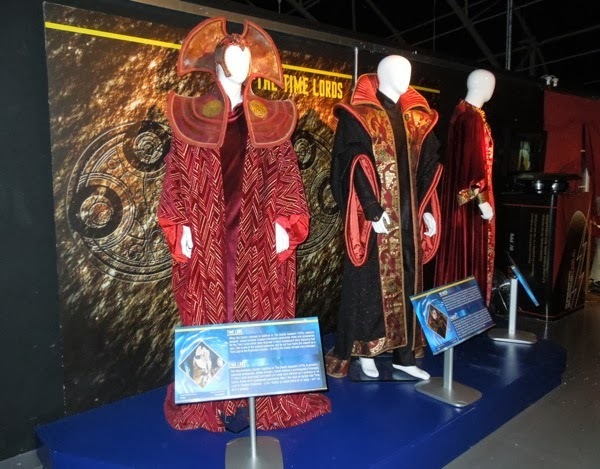 These robes worn by the alien race of long-lived Time Lords the 'Doctor' belongs to, including his deadly nemesis 'The Master', were photographed on display at the Doctor Who Experience exhibit in Cardiff Bay, Wales on May 20, 2013. 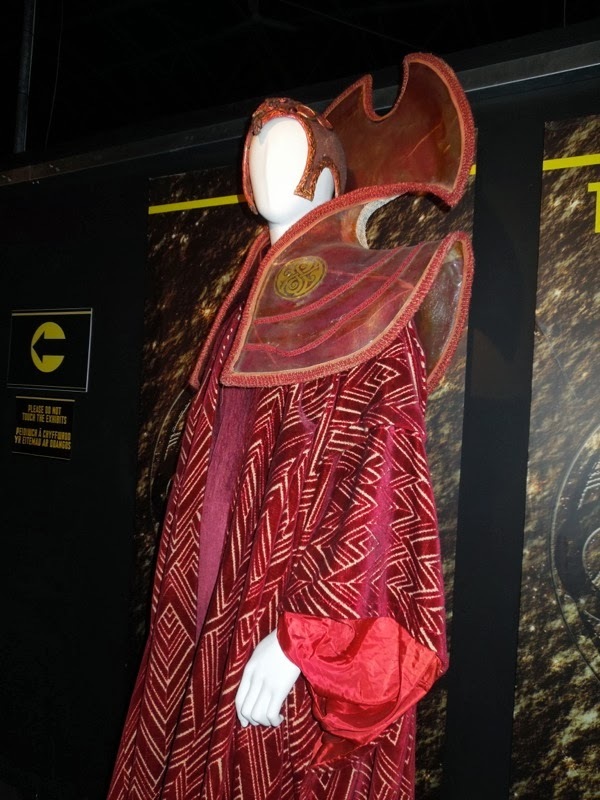 When the Fourth Doctor (played by Tom Baker) returned alone to his home planet Gallifrey in 1976's The Deadly Assassin serial, the Time Lords wore these ceremonial robes and accessories designed by James Acheson. 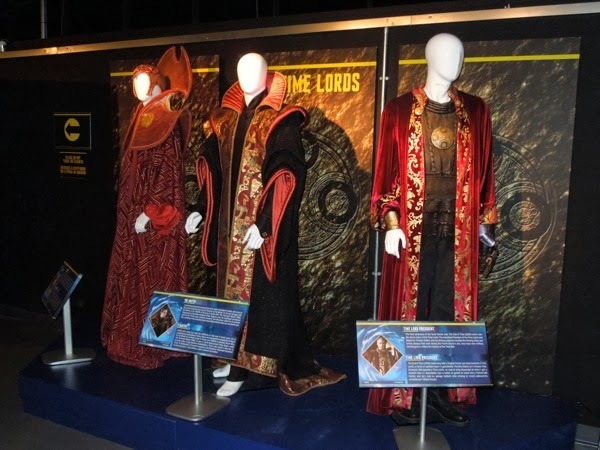 The iconic look of the Time Lords, with their distinctive high collar and cap, has subsequently returned in stories featuring the Doctor's peers. 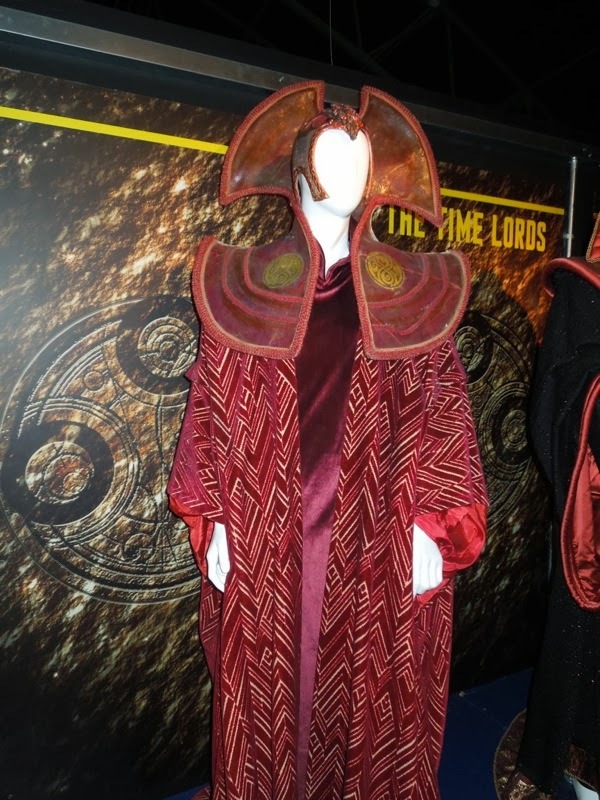 Apparently the red colour of the robes marks the wearer as part of the 'Prydonian Chapter' of the Time Lords, to which the Doctor once belonged. 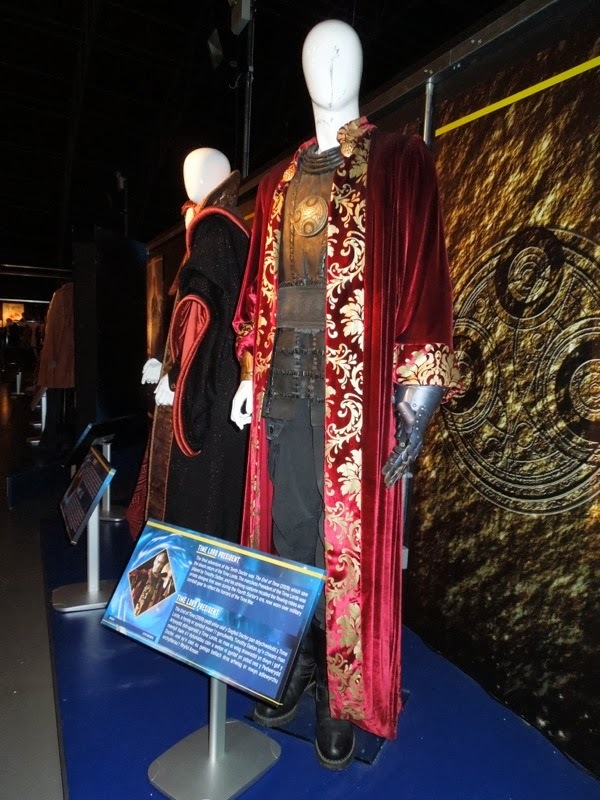 After an absence from our screens of seven years, Doctor Who regenerated as the Eighth Doctor played by Paul McGann and once again faced off against his deadly enemy, The Master. 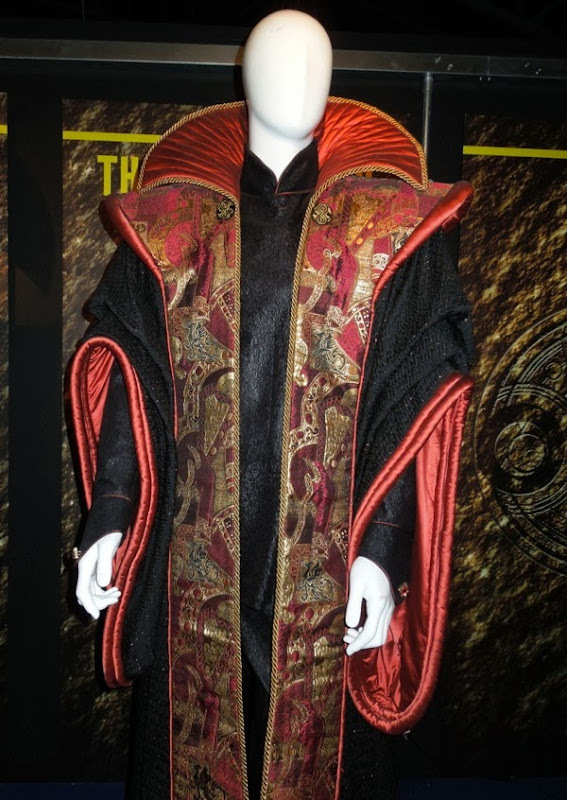 In this 1996 TV movie incarnation the scheming Time Lord was played by Eric Roberts. 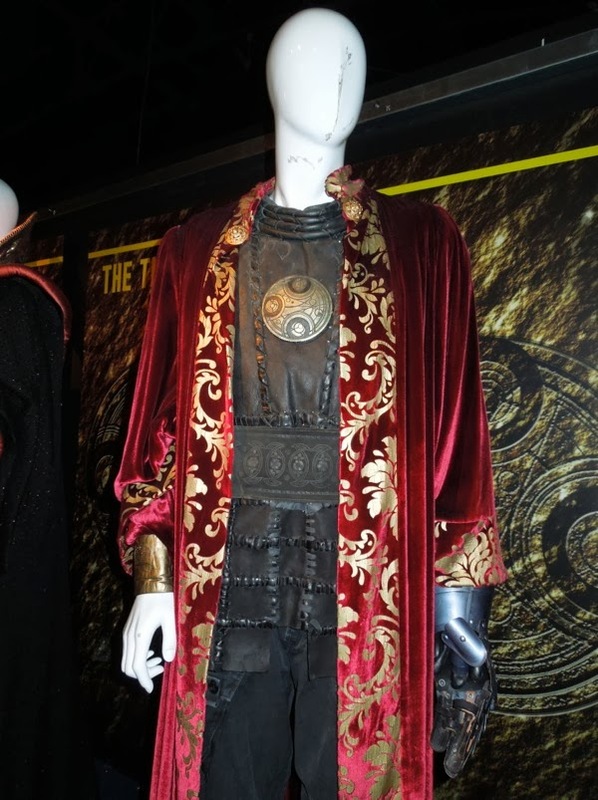 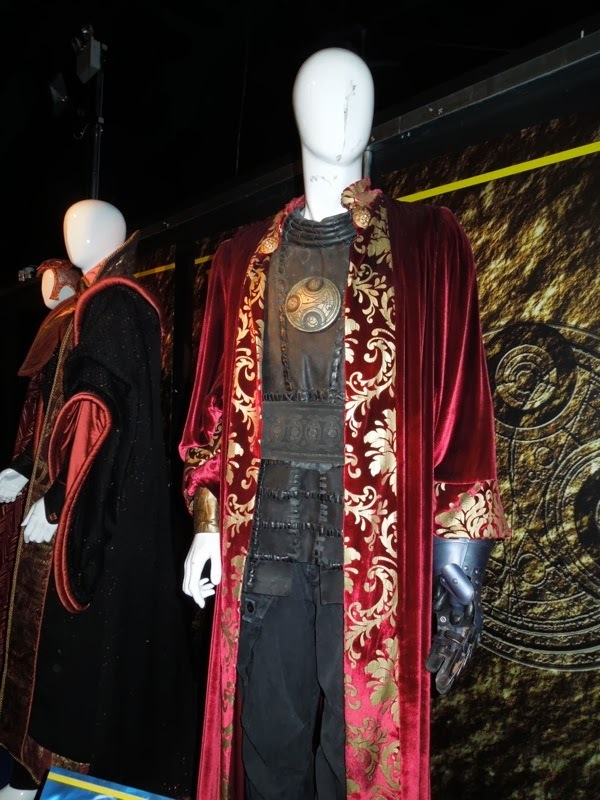 This is one of the costumes worn by the actor designed by Jori Woodman, which echoes the look of the classic Time Lords, but with a more oriental theme. 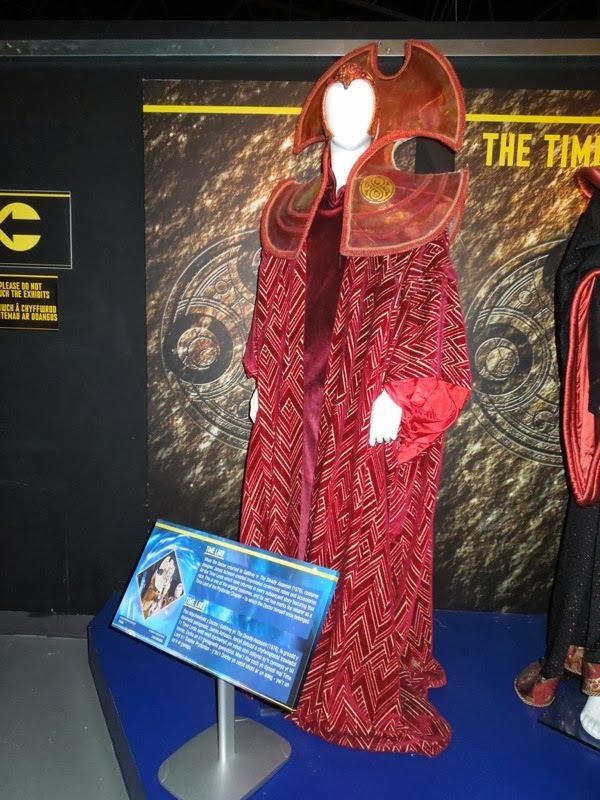 Apparently this robe outfit was long thought lost after the TV movie was not a ratings success, so had never before been displayed in public until the Doctor Who Experience exhibition. 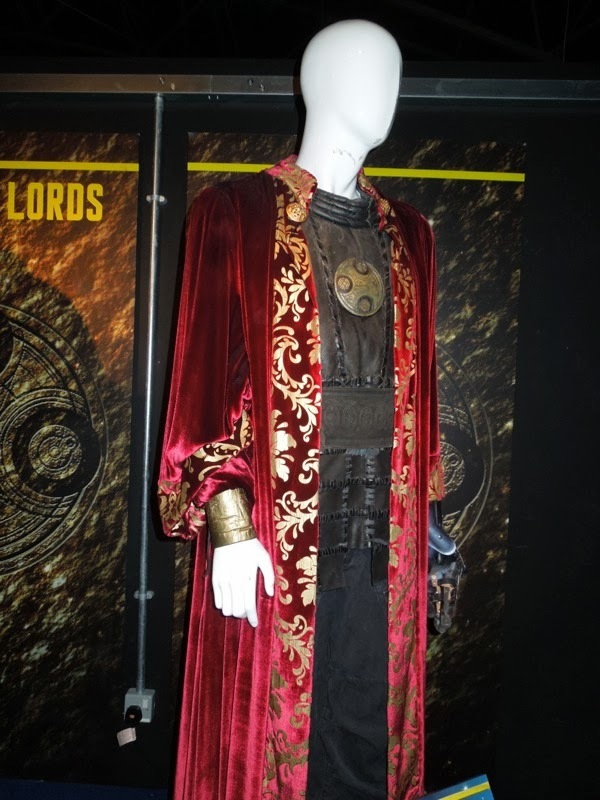 If you like The Master's outfit, be sure to also check out the Eighth Doctor Who costume on display. 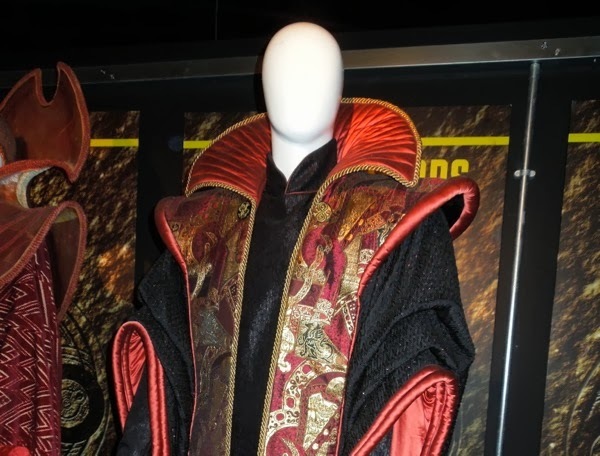 For the Tenth Doctor's (David Tennant) last adventure he discovered the fate of the Time Lords as they returned in 2009's The End of Time episode, where the merciless 'Time Lord President' was played by former 'James Bond', Timothy Dalton. 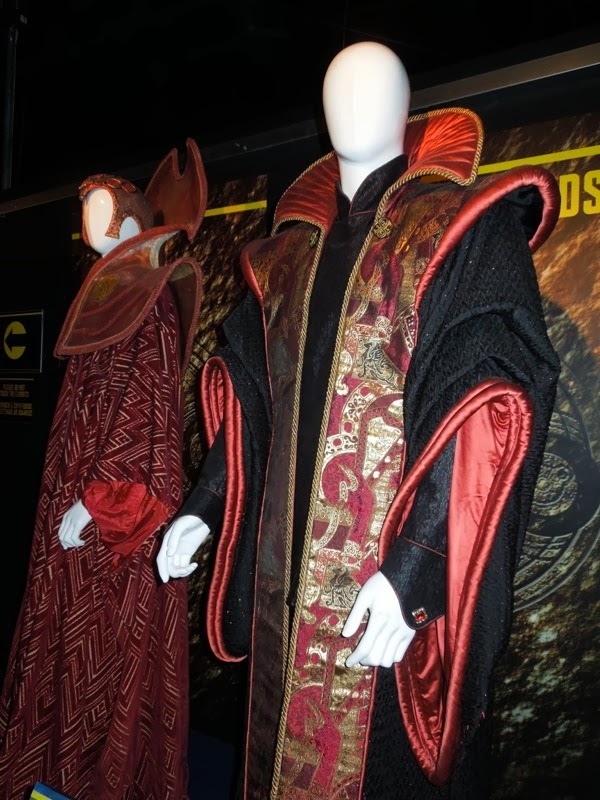 His flowing ornate robes were updated from the classic design by Louise Page, to reflect the horrors experienced fighting in the Time War by being worn over military gear. 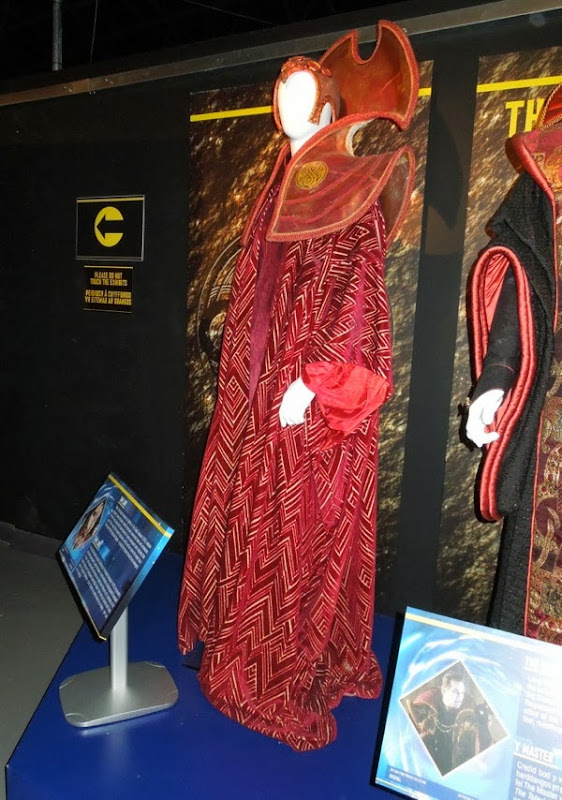 If you're a fellow Whovian or want more costume inspiration for Halloween, be sure to take a look at these other Doctor Who costumes and creatures on display.